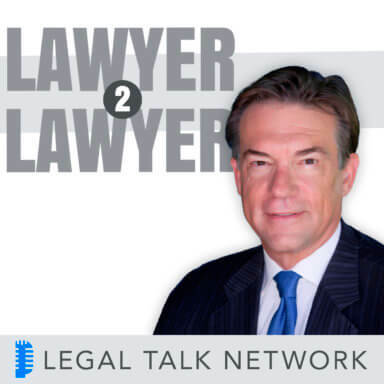 On this edition of Lawyer2Lawyer host Bob Ambrogi discusses private prisons with Susan Herman, president of the American Civil Liberties Union (ACLU), and Adrian Moore, vice president of the Reason Foundation, a non-profit in support of libertarian principles and privatization. Susan Herman was elected president of the ACLU in October 2008. As Centennial Professor of Law at Brooklyn Law School, she teaches courses in the area of Criminal Law and Procedure and Constitutional Law. The ACLU has been studying and protesting against private prisons as a for-profit business for decades. Dr. Adrian Moore is vice president of policy at the Reason Foundation. He has conducted studies, written publications and scholarly articles on the privatization of prisons and how they yield quality corrections at a lower cost. He has served on boards and commissions developing or overseeing privatization at the federal, state, and local level. Tune in to hear Herman and Moore debate and discuss the colossal incarceration rate, the profit motives of private prisons, the politics behind it all, and the impact on prisoners’ rights.